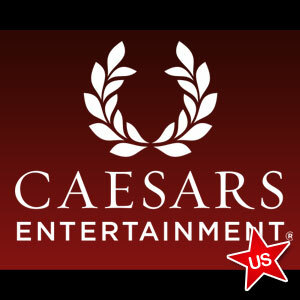 With an online gambling soft launch set to begin today, Caesars received approval from state regulators to participate in the rollout that kicks off at 6 p.m.
Two of Caesars four Atlantic City casinos got the green light from the New Jersey Casino Control Commission and a rubber stamp of approval from the Division of Gaming Enforcement following a nearly two-hour meeting Wednesday. Under scrutiny was the company’s financial stability and the resume of chief executive officer Mitch Garber. Caesars Atlantic City and Ballys Atlantic City now join the Borgata, Golden Nugget, Tropicana, Trump Taj Mahal and Trump Plaza as casinos that may operate online gambling sites. Five of the state’s 12 casinos are not on that list. Caesars did not apply on behalf of its other two brick and mortar gaming establishments, Harrahs’s Resort and Showboat. The Revel and Atlantic Club are mired in financial difficulties that included recent bankruptcy filings and chose not to apply for Internet licensing. Lastly, the Resorts Casino and its controversial partnership with PokerStars remains under investigation by gaming regulators. PokerStars conceded that it will not be part of today’s soft launch nor the full real-money launch scheduled for Nov. 26. The head of communications at PokerStars, Eric Hollreiser, took to Twitter to announce that the company’s approval is not yet in place and further cooperation with DGE officials will be undertaken as the review process continues. Caesars’ approval took longer than the other five casinos partly because Garber previously was associated with two companies that received stiff fines from the U.S. Attorneys office for online gambling activity in the U.S. following enactment of the UIGEA. Payment processing firm Optimal Payments and UK-based PartyGaming both received multi-million dollar sanctions while Garber was at the helm. Optimal Payments operated in the U.S. as Neteller, while PartyGaming eventually merged with bwin to become bwin.party. Garber’s past affiliations with both were not seen as a reason to preclude Caesars from New Jersey’s Internet gambling regime. Gaming officials found his answers to their queries to be satisfactory and found Garber to possess the good character and integrity required of licensees, the Press of Atlantic City reported. Caesars operates casinos worldwide and has already entered the realm of regulated online gambling in the U.S. via WSOP.com in Nevada. The World Series of Poker brand has been hosting live tournaments for more than four decades and is arguably the most highly recognized poker brand name on a global scale.